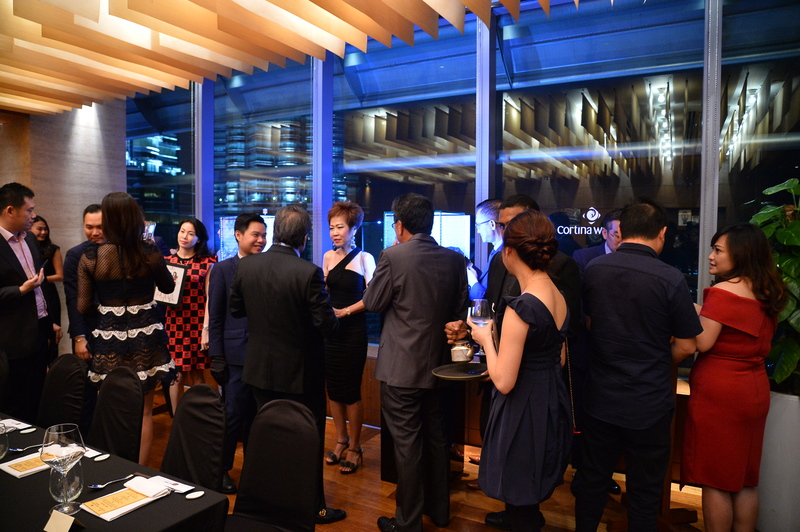 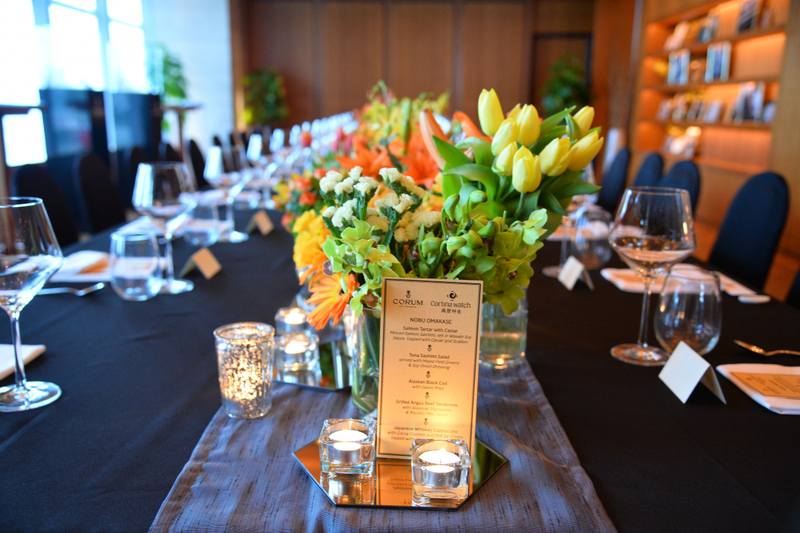 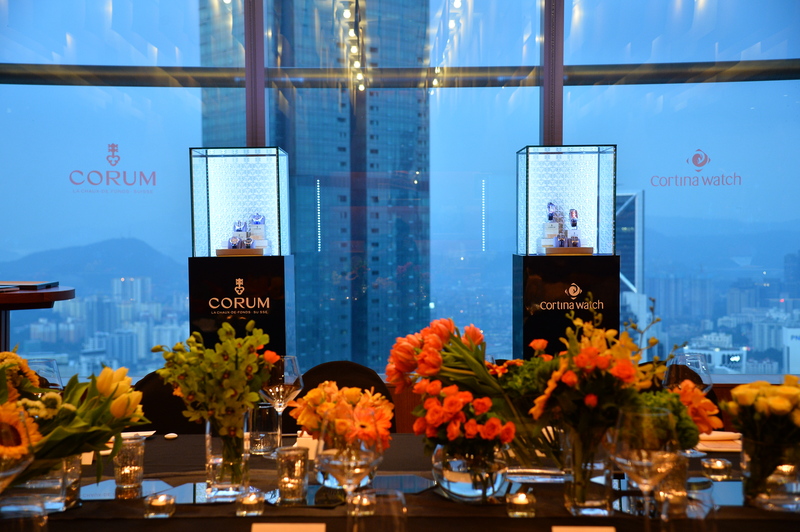 Friends, fans and horologists recently joined luxury Swiss watchmaker Corum and leading Asian watch retailer Cortina Watch Malaysia for an enchanting evening at the renowned Nobu Kuala Lumpur in KLCC. 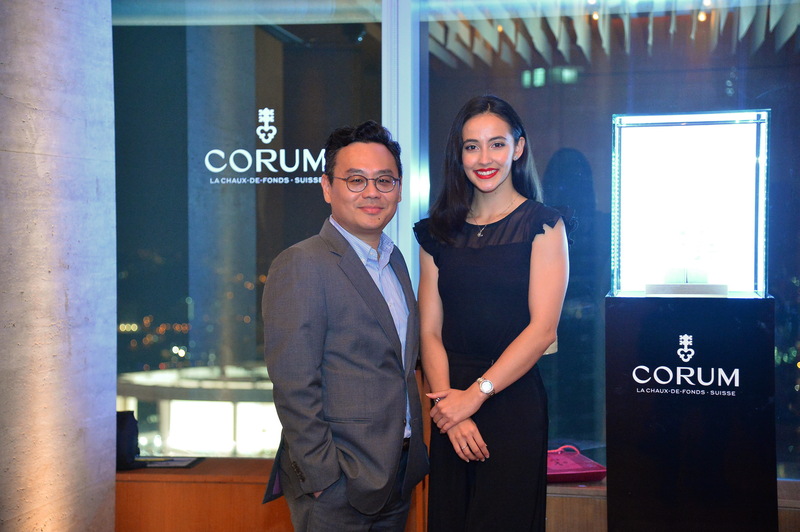 The VIPs of the evening included national gymnast Farah Ann who is also the newest ‘Friend of The Brand’ for Corum SEA; Chris Wan, General Manager of CORUM Watches SEA; and Tay Liam Khoon, Managing Director of Cortina Watch Malaysia. 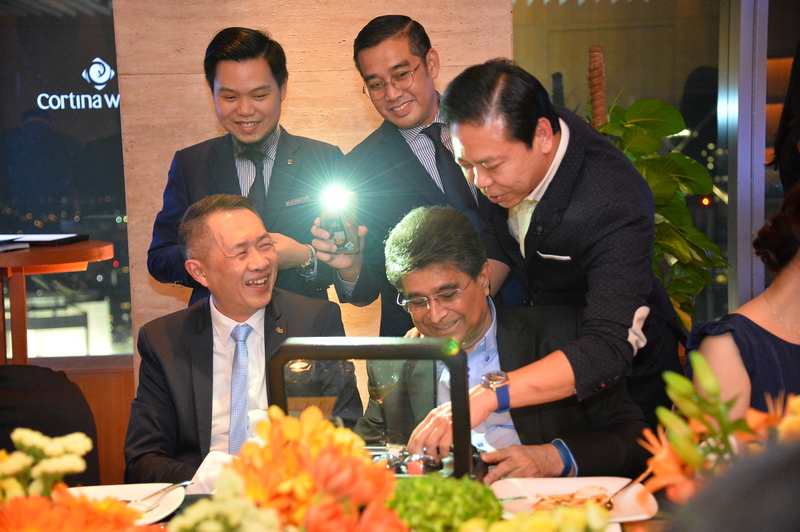 The guests delighted in this golden opportunity of being the first in the country to review the latest timepieces from the La Chaux-de-Fonds manufacture while sampling the fineries of the special ‘Nobu Omakase’ menu that had been created especially for this momentous occasion. 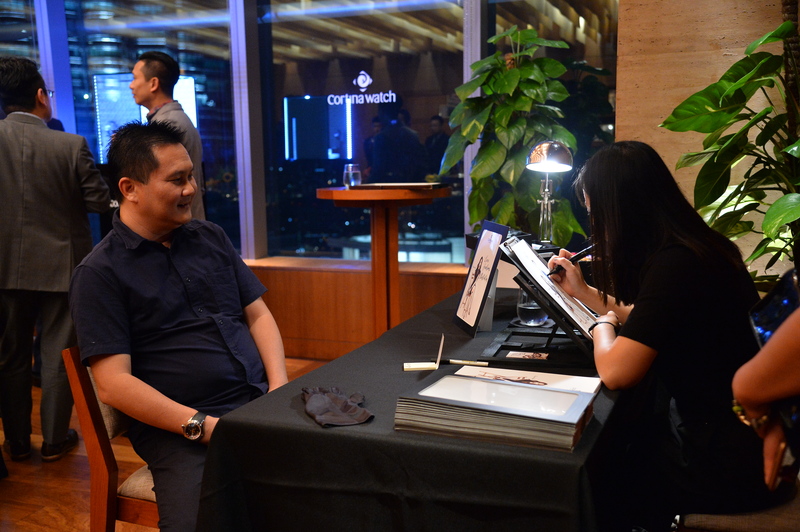 Lee Kian Peng strikes a pose for illustration artist Vivian Lees. 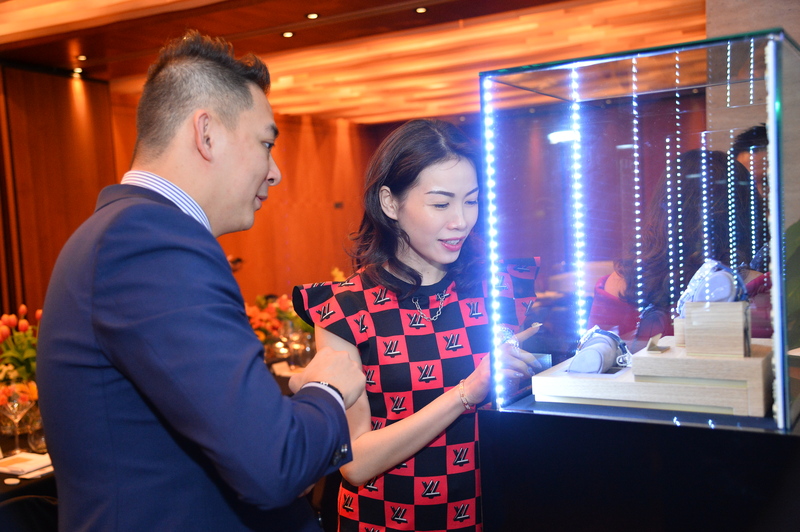 Datin Sri Denise Phuah (center) tries her hand at the latest Golden Bridge Round models. 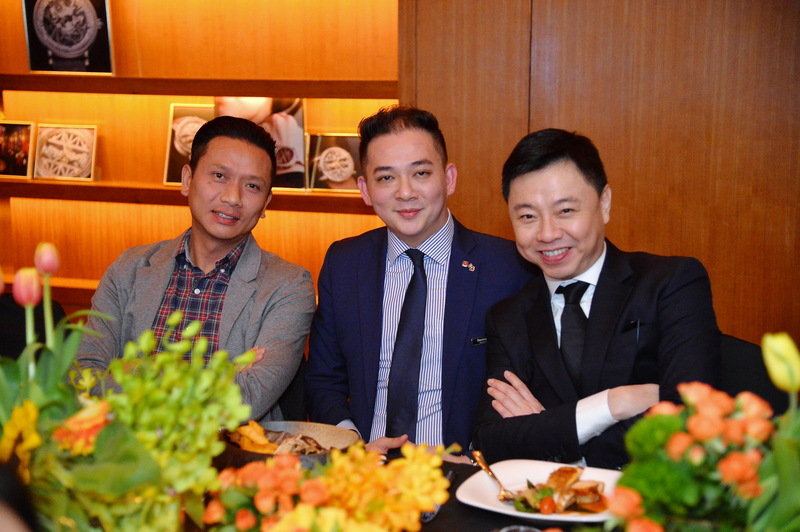 Tay Liam Khoon, Dato Sri Jeffrey Raymond and Chris Wan. 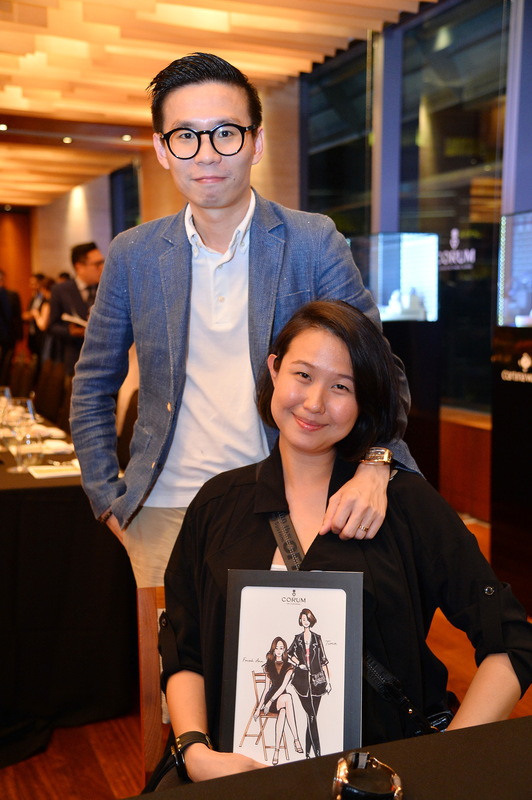 Juliana Ling and Yee Wai Yin. 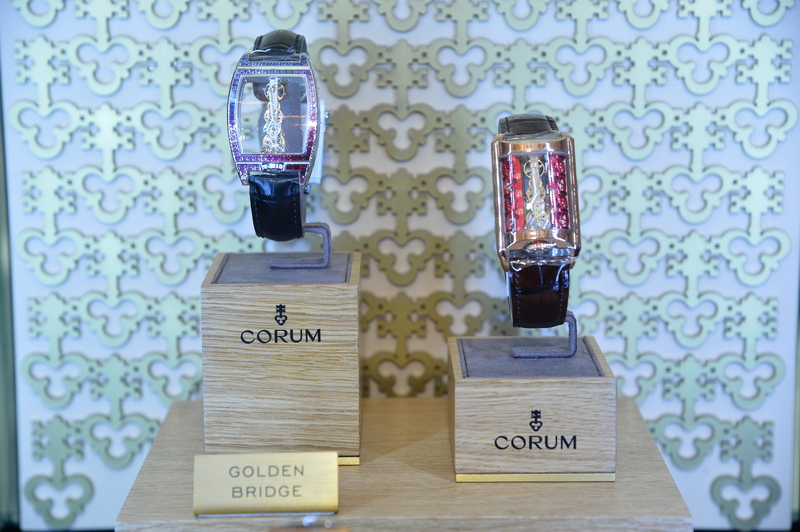 A closer look at the first and only in-line baguette movement found in the Corum Golden Bridge. 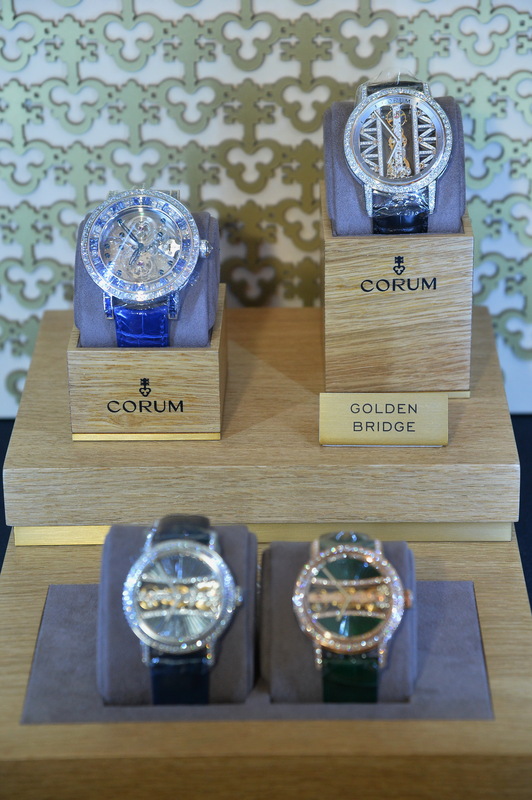 The Artisans Classical Billionaire Tourbillon and Golden Bridge Roung. 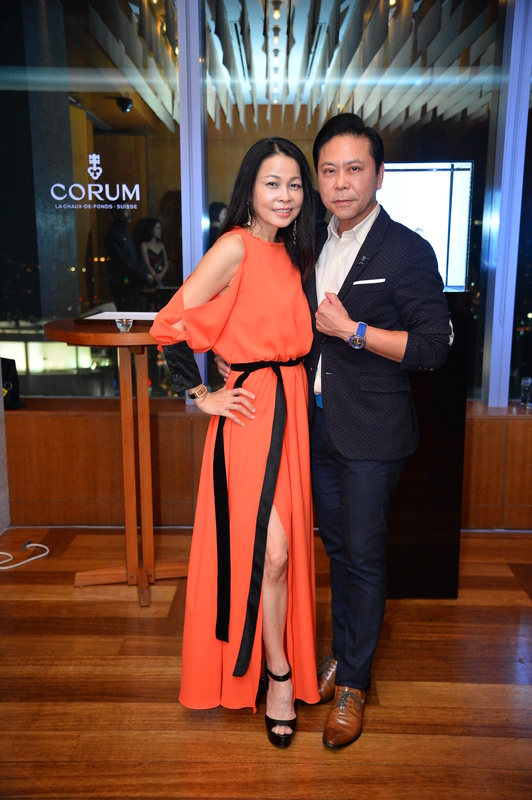 Jason Tham and Farah Ann. 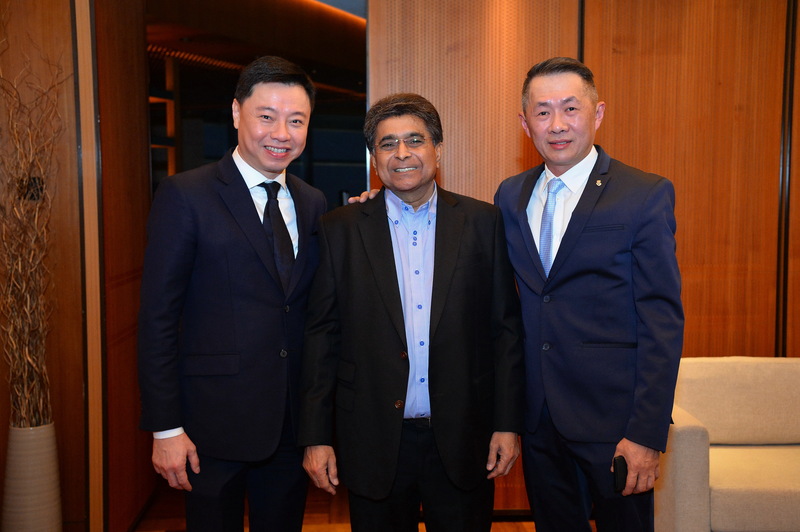 Tay Liam Khoon, Farah Ann and Chris Wan. 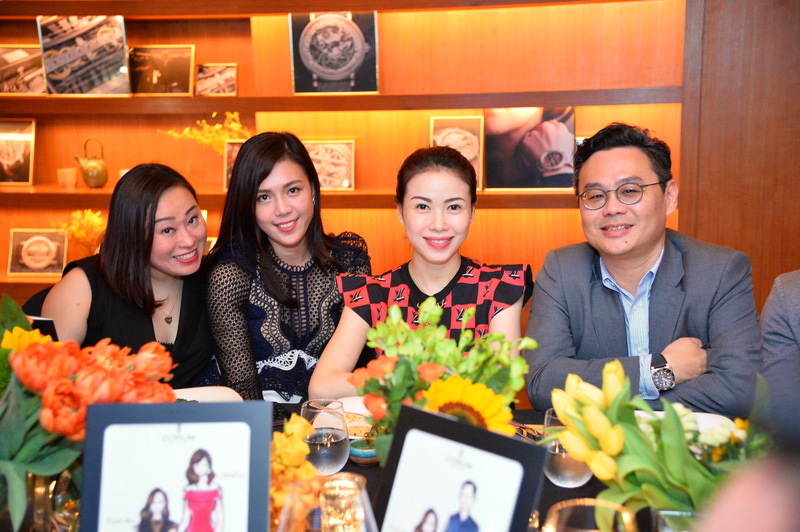 Regyne, Datin Yan Yee, Datin Sri Denise Phuah and Jason Tham, GM of Cortina Watch. 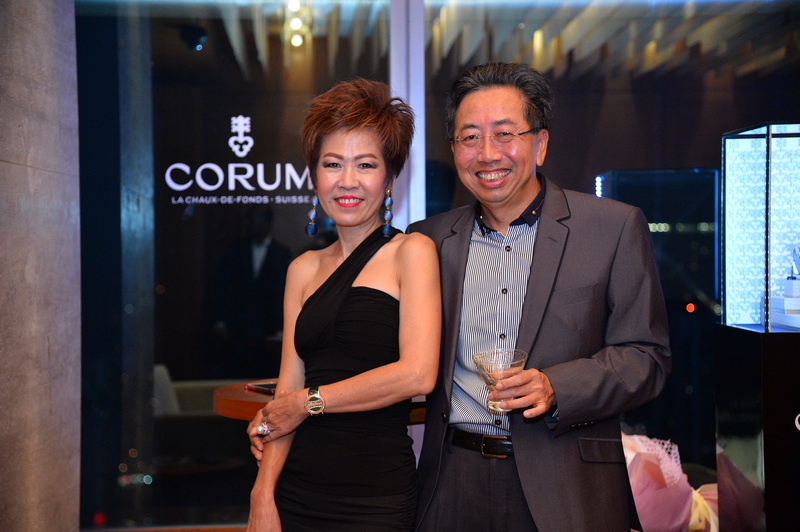 Chris Wan, Dato Sri Jeffrey Raymond and Dato Sri Jackie Tor admiring the latest novelties from Corum. 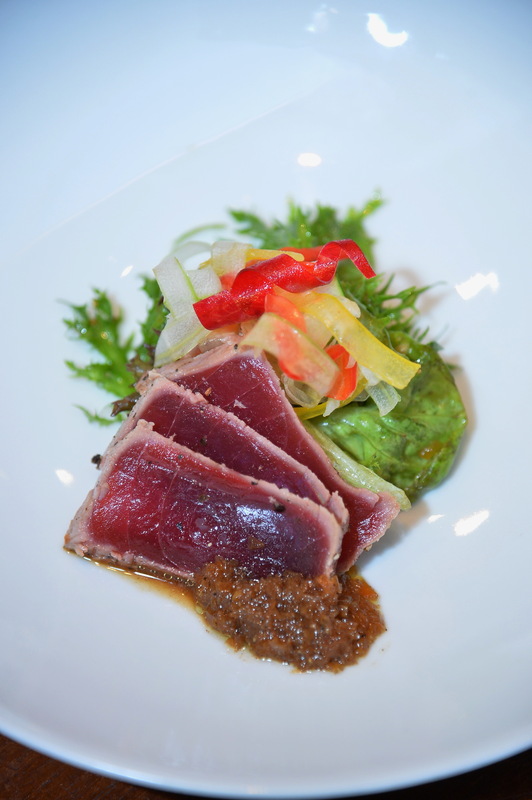 A refreshing Tuna Sashimi Salad served with mixed field greens and a savory soy onion dressing. 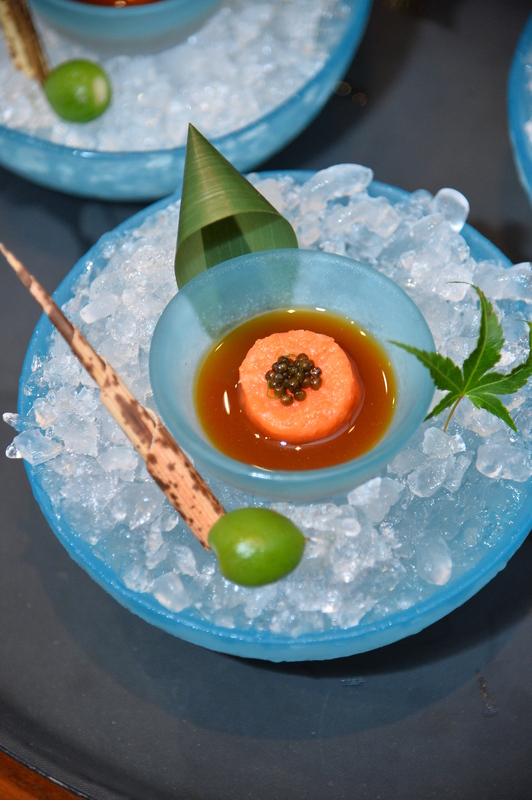 Salmon Tartar with Caviar set in Wasabi Soy Sauce.